This post is written by Emily Wheeler and is published as a part of our blog exchange with Tar-Heel Tone Up. I’m sure we’re all starting to feel the effects of 8 weeks of accumulated sleep deprivation that the semester has caused. Fall Break was a welcome chance to have fun with friends and family, but also to take some time to catch up on rest and reset to healthier habits for the second half of the semester. Since we rely on our phones so much these days, I’ve looked up a handful of apps designed to help you fall asleep more easily, track your sleep cycles, and even wake up more easily. Every app is free or less than $5, so if you find yourself wishing for better sleep every day, consider giving them a try! This highly impressive $1 app requires you to place your phone on your bed beside your pillow in order for it to use your motion throughout the night as a way to track your sleep cycles. 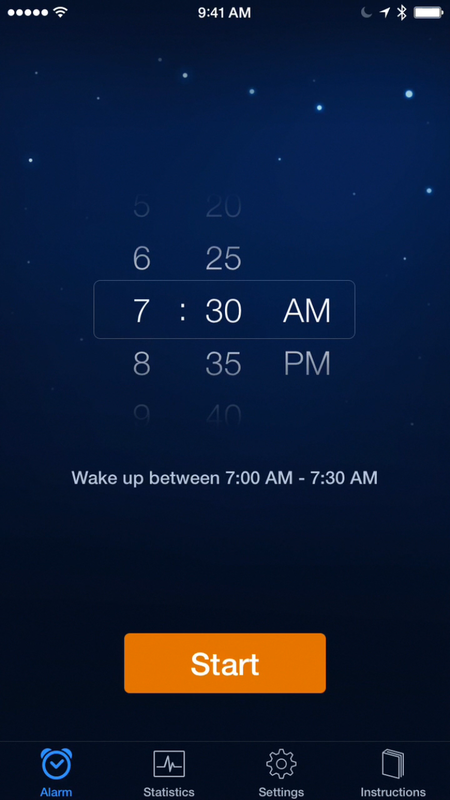 The app collects data during the night and then shows you easy-to-read graphs in the morning about your sleep quality! It also has a nifty alarm clock feature that allows you to set a time range, during which the app will wake you up during the moments in that range when you’re sleeping most lightly, helping you to wake up at the best possible time for your body. When the alarm goes off, you get a good morning message and a weather report for the day, but you can also run the app in the background and set a separate alarm if you wish! Believe it or not, the most popular mobile phone brand in the world is not the iPhone, so for all of the many Android users, Sleepbot is a great Android app similar to Sleep Cycle, mentioned above. 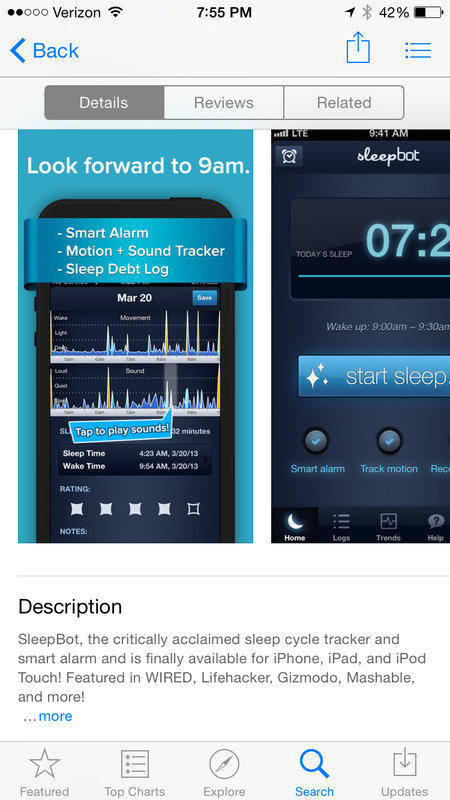 It also tracks your movement as you sleep and creates various graphs of information about your sleeping patterns. It also records sound so you can hear if you snore or talk in your sleep, which is actually a really unappealing feature to me but hey, whatever floats your boat. Although it was originally an Android app, it is also now available for iPhone. 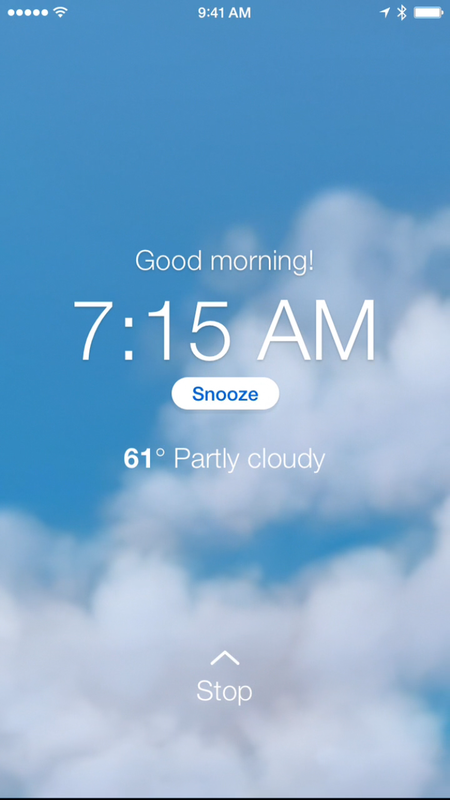 The app does work with other Android alarm clock apps however, so if you’re using it from an Android you can use your favorite alarm clock app along with Sleepbot. 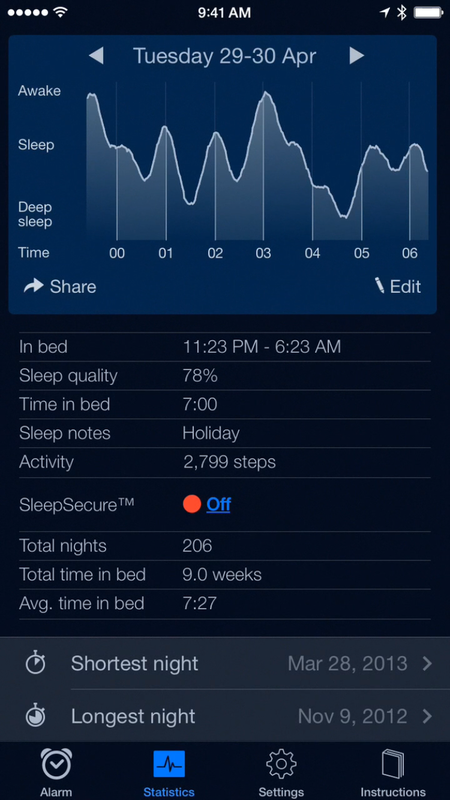 The app is free and also has a paired webapp so you can view your sleep stats on your computer as well! 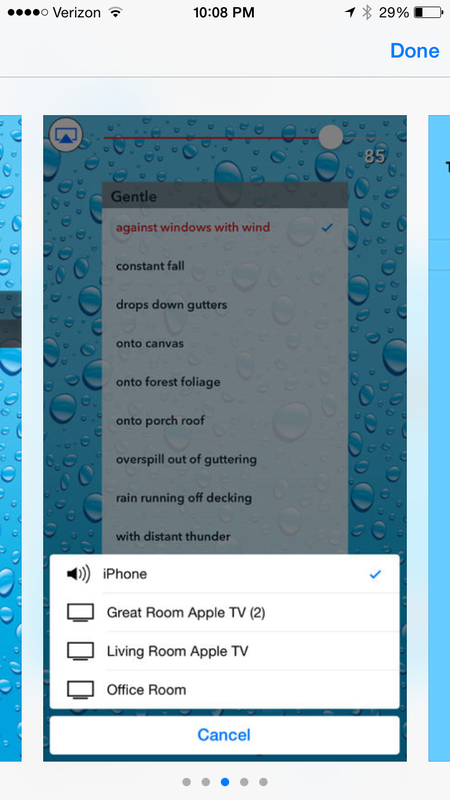 I absolutely love falling asleep to the sound of rain outside my window, and the Sleepmaker Rain app simulates different rain sounds ranging from “gentle onto forest foliage” to “heavy torrential downpour.” You can pick from 20 different rain options to lure you to sleep on restless nights. This $1 app has a huge variety of soothing sounds that include nature sounds, instruments, lullabies, and life sounds such as helicopters, showers, and a heartbeat. 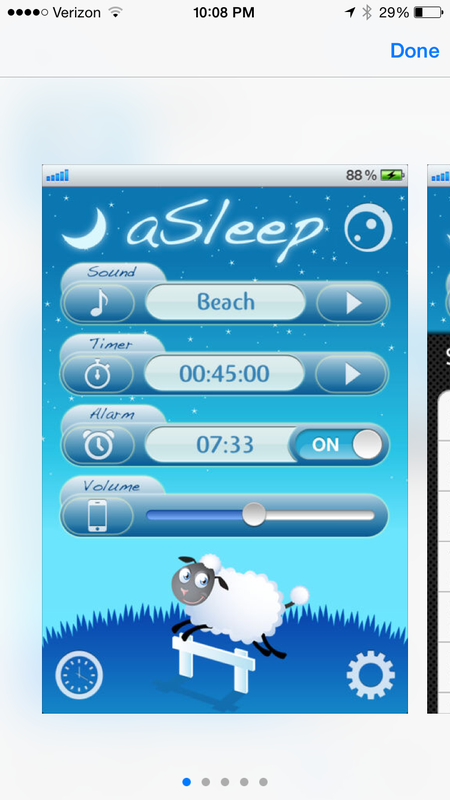 You can choose a duration for the sound to play, which preserves your battery after you fall asleep. If the sounds of rain or nature aren’t your preferred sounds to help you sleep, you can try listening to a 27-minute self-hypnosis recording. This audio clip is designed to help you clear your mind as you listen to the lovely British accent of Glenn Harold, a clinical hypnotherapist. Whatever works, right? 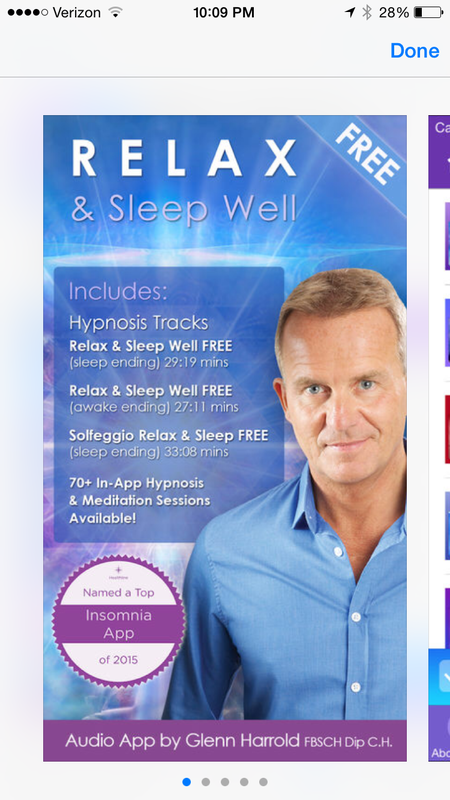 Whether you choose to try an app that uses measurements of your sleep patterns to help you wake up more easily, plays soothing sounds to help you relax, or uses hypnosis to lull you into slumber, you may be pleasantly surprised by what these sleep-help apps can do! Even though I rarely have trouble falling asleep, I enjoy using Sleep Cycle just because I think it’s interesting to see graphs of my sleep patterns over the course of a night or a whole week. I also find the nature sounds soothing when I’m trying to study because it helps create a more peaceful atmosphere that helps me focus. If you’re looking to improve your sleep quality and quantity for the second half of the semester, or just trying to take a great afternoon nap, try out some of these sleep-help apps and see what you think!